Sanlorenzo and Rolls-Royce made quite the lovely couple at the recent debut of the British marque’s all-terrain luxury off-roader, the Cullinan, in Singapore last week. The prestigious Italian yacht-maker’s new SX series of crossover vessels, especially the SX88, became the perfect partner to the sumptuous SUV. The collaboration between Sanlorenzo and Rolls-Royce for this regional launch saw the two luxury vehicle heavyweights travelling from Seoul to Hong Kong and finally landing in the Lion City. Local newspaper The Business Times picked up on the fact that a mere 1,400 people in Singapore could have the wherewithal to own a Rolls-Royce Cullinan, in reference to Knight Frank’s latest wealth report, which numbers Singapore-based individuals with a net-worth of at least US$50 million (S$67.2 million). But while there isn’t any word on how many people have placed their orders for a Cullinan in Singapore, Sanlorenzo just announced the first sale of its 27m SX88 yacht in Asia, just after its Rolls-Royce partnership concluded at The Ritz-Carlton, Millenia Singapore. Like the formidable all-wheel drive, the SX88 too is a revolutionary transport crafted out of classic elegance and extraordinary mobility. 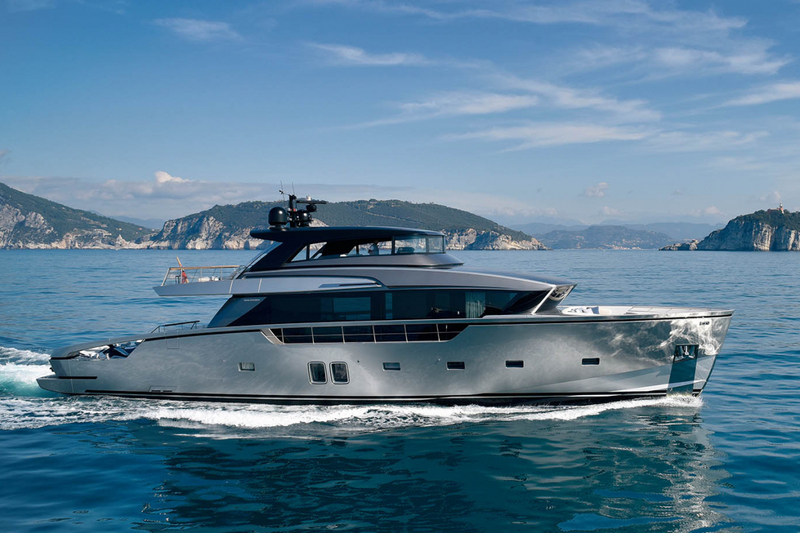 This yacht has already garnered high demand in Europe after first debuting at the Cannes Yachting Festival last year. A total of 15 units have been sold so far. The latest order is due to be delivered to the client in Southeast Asia in mid-2019.